On the day that Patrick Bamford became the 25th player to be loaned out by Chelsea so far this summer, Pies hought we’d examine some of the professionals out there who seem to have spent their entire careers in a state of loaned-out flux. The first of many Chelsea hoardees on the list, Bamford joined from Nottingham Forest in January of 2012 on a five-year contract. Since then, the now 22-year-old striker has made a whopping zero senior appearances for the Blues, instead spending all five years of his deal either in the Under-23 side or, for the vast majority, out on loan. Still, scoring no goals in 13 Premier League outings for Crystal Palace and Norwich last season has proven sufficiently impressive to Burnley. Campbell first signed for Arsenal way back in the primordial mists of 2011 but failed to obtain a work permit, so spent the first three seasons of his contract on loan at three different clubs in three different countries before adding Villarreal to that list in 2015. Then, after all that mucking about, just when it looked like Campbell may have finally wormed his way into the first team picture after making decent headway last season, Arsene Wenger went and flogged him to Sporting Lisbon last week. April 2009 was a good month for Macheda. By and large, it’s all been downhill since then. The 17-year-old Italian striker burst onto the scene with a magnificent game-winning goal against Aston Villa on his Manchester United debut and then followed it up with his second goal just days later, less than a minute after coming off the bench against Sunderland (via a fluke deflection, it must be said). However, it quickly went south, with Macheda failing to replicate his explosive opening act at United, swiftly falling out of the first-team set-up and into the murky, nomadic cycle of loan move after loan move after loan move – six in five seasons to be precise. For the record, Macheda is currently without a club after being released by Cardiff this week, but not before he was able to spend a sliver of last campaign out on loan at Forest. The year was 2010 when Arsenal signed a 16-year-old Brazilian prodigy by the name of Wellington Silva from Fluminese. The FA even granted him a “Special Talent Visa”, such was the fervour to bed this brilliant young talent into the English game. Sadly, the Visa was quickly repealed, leaving Silva without a work permit. Six scattered loan moves in five seasons followed, despite the forward actually gaining a permit to play for Arsenal ahead of the 2015/16 season (which he spent on loan at Bolton). And lo, last month the circle was completed when Silva went and re-signed for Flu without making a single senior appearance for the Gunners. Aged 26, Livermore is a settled entity plugging away at Hull City these days, but his nascent days coming through the youth ranks at Tottenham were decidedly more higgledy-piggledy. Beginning in 2008, the midfielder embarked upon a long series of loan moves in search of first-team experience, taking in sojourns at MK Dons, Crewe, Derby, Peterborough, Ipswich, Leeds and finally Hull before making the permanent switch to the Tigers in 2014 having made just 36 league appearances for Spurs. Probably not a name you’ll be instantly familiar with, but goalkeeper Logan was on Leicester City’s books for an entire decade, making just 23 appearances for the club in that time having made eight – count ’em, eight! – loan moves elsewhere. The Irishman actually became the Foxes’ longest-serving player shortly before he was released from his contract in 2015. Echoing Livermore’s predicament, Townsend – an established Premier League presence these days – actually went out on loan down the divisions a massive nine times before finally making the breakthrough at Tottenham. Again, now a flourishing England international and Premier League regular with Southampton, it’s perhaps easy to gloss over Bertrand’s disjointed rise to the top. One of many to suffocate under Chelsea’s “pile ’em high” youth policy, Bertrand went out on loan nine times in nine years before finally putting down roots at the Saints – though not before becoming the first ever player to make his Champions League debut in the final when the Blues beat Bayern Munich in 2011/12. Very much akin to Bertrand’s story but without the happy ending (as yet). Touted as the man who might replace Frank Lampard when he started flitting around the senior side in 2009/10, McEachran whiled away the first five years of his senior career getting absolutely nowhere at Stamford Bridge – chasing first-team football with loan after loan, including the true seal of the Chelsea no-hoper: a temporary stint at Vitesse Arnhem. The central midfielder is currently at Brentford, but injury has hampered his progress thus far. He’s still only 23, mind you. A Scottish striker who made 16 appearances for Bournemouth in the space of seven years at the club, finding himself farmed out on loan no less than nine times in the process. Stockley was released by the Cherries in 2016, four long years after he last made it onto the pitch for his parent team. Another Chelsea experiment gone awry. Originally signed in 2012, Chalobah has not made a single solitary senior appearance for the Blues since. Four years after he was first named on a Chelsea bench as a 15-year-old, he’s still waiting to make debut. The Ghanaian winger is on the cusp of joining Newcastle (on loan) after spending last season at Bournemouth (on loan) and Malaga (on loan) from – you guessed it – Chelsea, for whom he’s yet to make his senior debut. It’s all getting a little repetitive now, isn’t it? In a bit of a change from the norm, Hector did most of his gadding about before he even got to Chelsea, leaving Reading on loan on no less than eleven occasions. The 24-year-old centre-half then made the leap to the Blues in 2015, returning to Reading on loan for the remainder of the season before securing a season-long transfer to Eintracht Frankfurt (the thirteenth loan of his short career) this summer – a move he duly chose to celebrate by procuring back-to-back red cards in his first two outings. 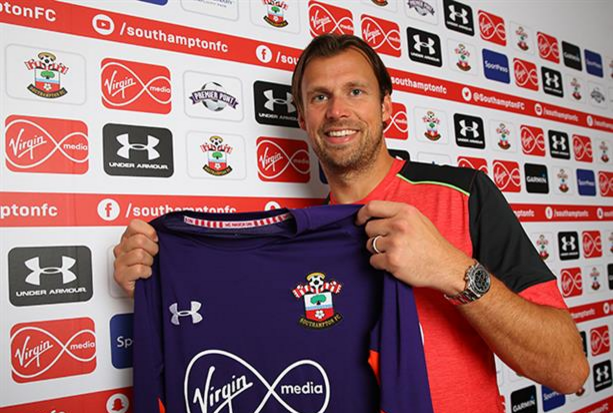 Professionally British and available, 35-year-old Taylor – who signed a one-year deal at Southampton recently – has amassed an impressive 75 league appearances in his 19 years as a professional footballer, winning two Premier League titles and an FA Cup with Arsenal and Man City without having to lift a finger. Hell of a career, if you ask us. A little different from the rest of the loan rangers on this list but Nyom definitely deserves a mention for his commitment to going out on loan and bloody well remaining out on loan. Indeed, the Cameroon international right-back was on loan at Granada from Udinese for six unbroken years before he was shifted to the Pozzo family’s other sporting venture, Watford, in 2015. Honourable mentions: Marko Marin, Nathan Ake, Marco van Ginkel, Lucas Piazon and the rest of the Chelsea mob, Haris Vuckic, Paolo Dumitru.